Short biography: Serzh would become a tennis player, if he did not begin listen rock music. In 14 years he collected the first group with friends. In 17 years Serzh moved to Moscow to study and with his comrades of institutes organized an indie-rock group which is presently known as «Moi roketi vverh» («My rockets upwards»). With «Moi roketi vverh » Serzh wrote down 3 albums, one of which went out in Holland and Australia, and 2 songs got in the rotary press of great number of FM of Europe and USA. «Moi roketi vverh» played a lot of concerts in Russia, Ukraine, Estonia, Holland and Belgium and took part in the festivals of Zwarte cross (Holland), Plink plonk (Estonia), «Stariy Melnik» («Old miller», Moldavia), Avant fest (Russia). 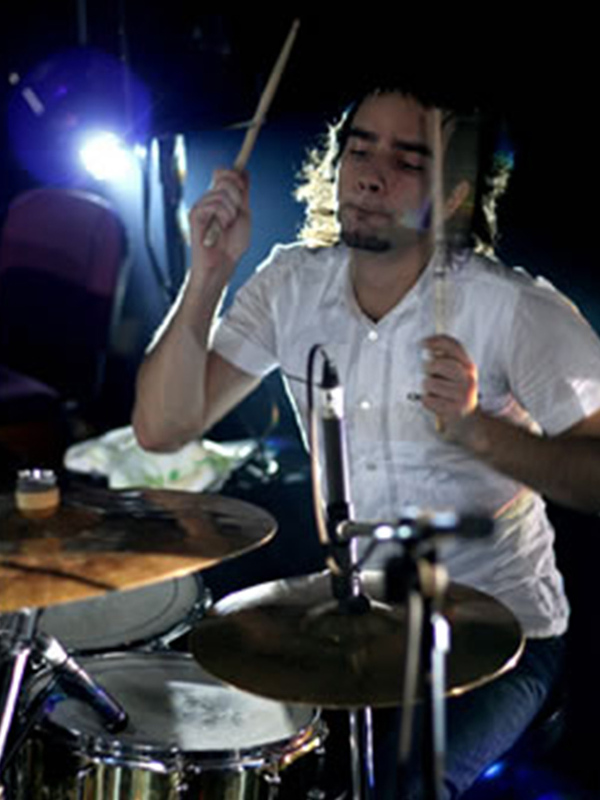 By a summer 2007 «Moi roketi vverh» played with Sonic Youth in Moscow. Presently the group prepares to the issue of DVD and presentations of new album of "Humanaut" in a few Russian towns. From 2000 Serzh also plays with «7 rasa». There are 4 albums and 2 DVD on an account of «7 rasa», the group actively plays concerts in Russia and countries of near foreignness. Similarly «7 rasa» took part in the great number of large music festivals of our country. In autumn 2006 the group marked its 10th birthday by a large concert in the Moscow club «Apelsin» («Orange») and played concerts in Russia and Ukraine. Presently «7 rasa» prepares to the record of new album.